With over 40 years of experience, KGMS has a long tradition of educational excellence. 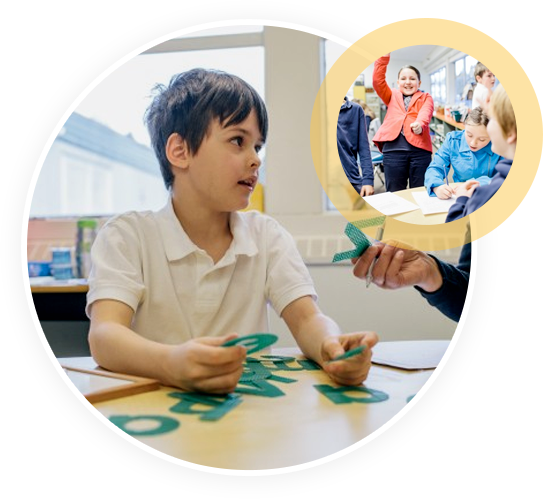 We use the world-renowned Orton-Gillingham Method which teaches students visually, auditorily and kinesthetically, allowing them to engage in their learning and retain skills and concepts that would have previously been forgotten. Children receive daily individualized one-on-one tutoring. 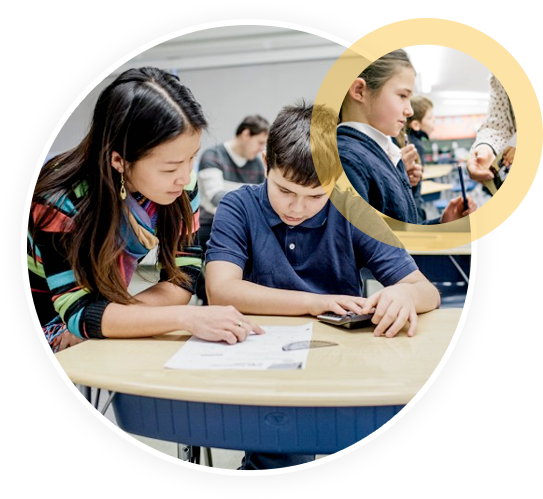 Depending upon their needs, the tutoring sessions may develop reading using the Orton-Gillingham method, mathematics using critical thinking and problem-solving strategies or social emotional skills through direct instruction and supervised play. 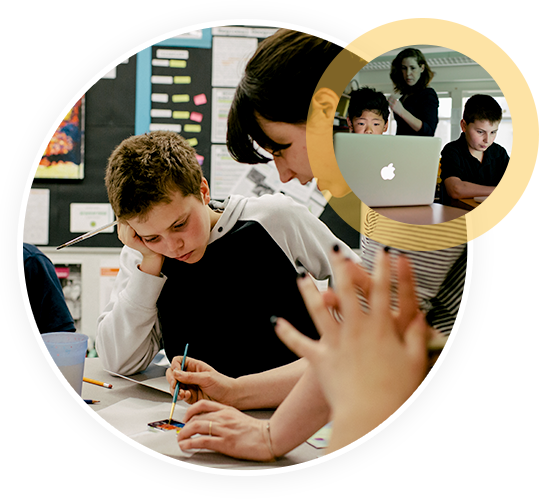 Every student receives an Individualized Education Plan (IEP) which is developed by the classroom teacher with input from the student’s tutor, and in collaboration with the parents. The IEP customizes instructional strategies and resources to address the child’s strengths and needs. Our program empowers students and restores confidence in their abilities. We prove to our students that they are intelligent and they are entitled to learn joyously, to succeed and to reach their potential. We equip them with an understanding of their learning style and a vision for their future, enabling them to become successful self-advocates in the real world. The essential curricular content and instructional practices that characterize the KGMS Approach are derived from two sources: first from the extensive research and practice surrounding both OG instruction and other effective methodology for working with students; and, secondly from our own specific experience of over forty years observing how children learn to read and write and why a significant number have difficulty in doing so. Our staff members have a clear understanding of how having dyslexia makes achieving literacy skills more difficult and which instructional practices are best for suited each individual child. The Orton-Gillingham Approach is most often associated with a one-on-one tutor-student instructional model. However, its use in small group instruction is not uncommon. 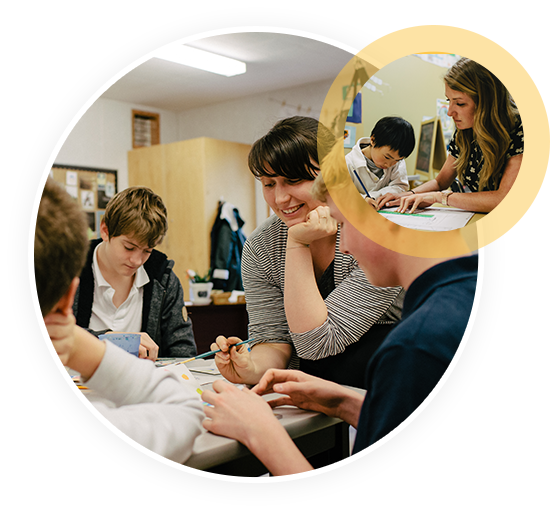 A successful adaptation of the approach has demonstrated its value for classroom instruction. Reading, spelling, and writing difficulties have traditionally been the dominant focus of the approach although it has been successfully adapted for use with students who exhibit difficulty with mathematics.